Iconic, futuristic & colorful, Reunion Tower defines the Dallas skyline. 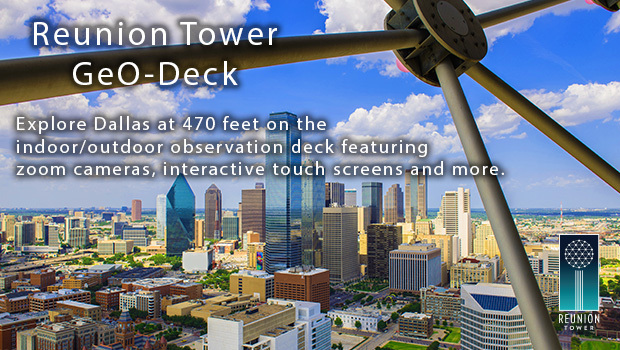 Open Now: an all-new observation deck experience. It’s finally here! 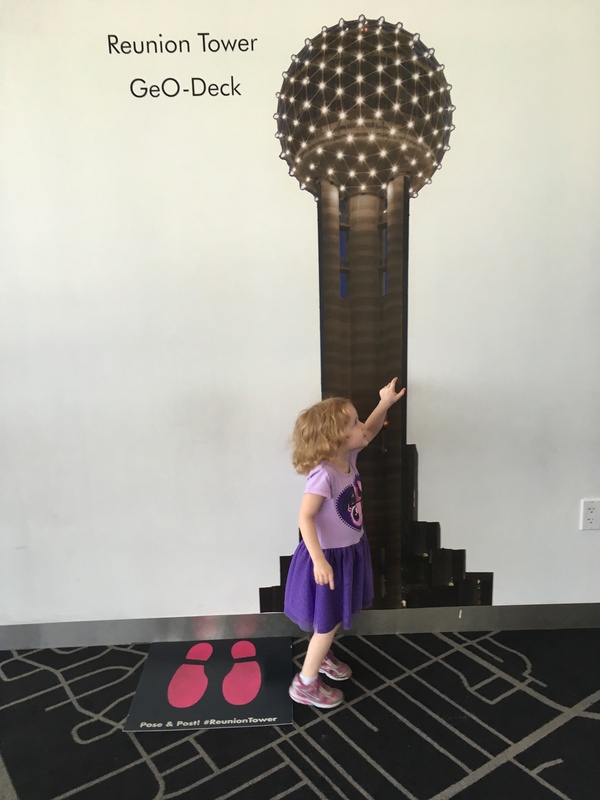 Brooke’s 7th birthday weekend bonanza included our family taking a road trip to Dallas for some fun and the Reunion Tower’s GeO-Deck was at the top of our list of things to do. I started planning this trip in January – yes JANUARY – because we are a family of four on a budget and since three out of our four family members all have summer birthday, we have to plan ahead. 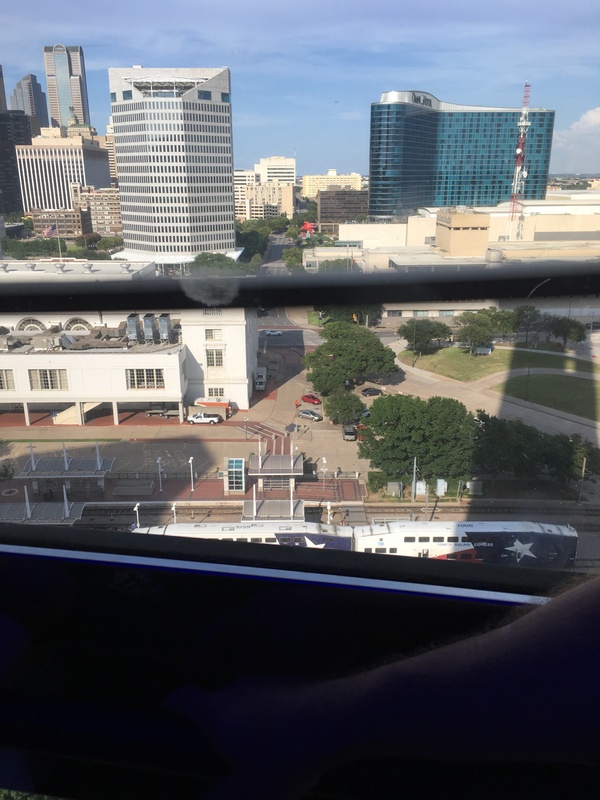 Dallas has so many things to offer and experiencing being high up looking over the city was exciting for all of us. Enjoy the pictures and be sure to make a trip with your family when you are there! 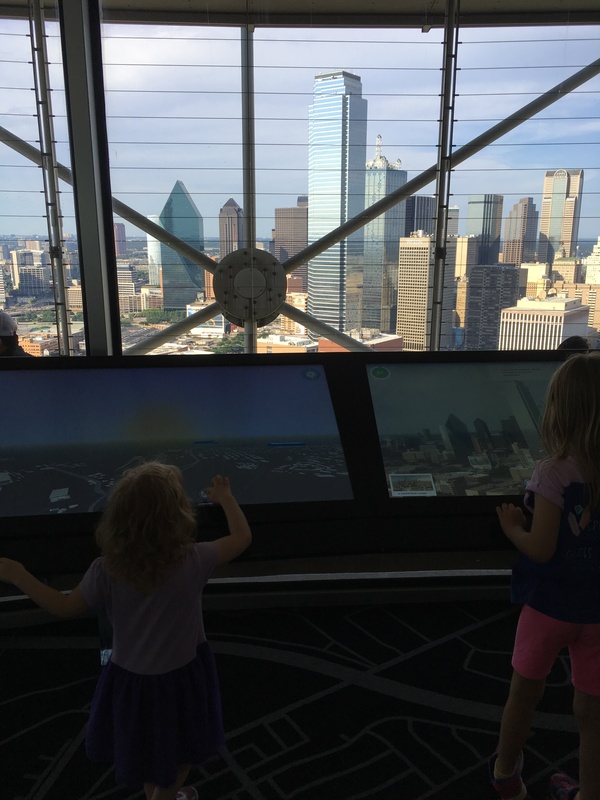 The technology in Dallas, Texas at the Reunion Tower’s GeO-Deck is out of this world including their new Constellation experience, Halo information screens and free outdoor telescopes! 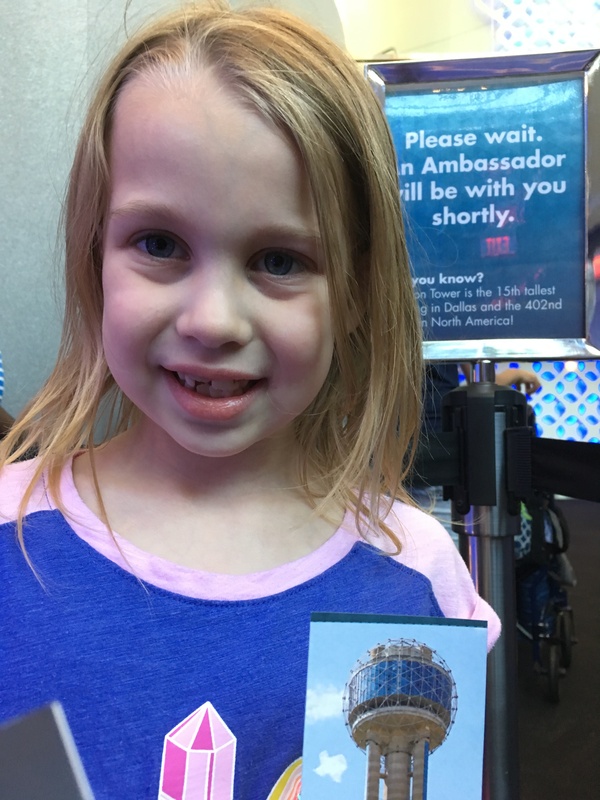 This self-paced viewing atmosphere is enhanced with friendly uniformed Ambassadors along the way that can answer questions and provide fun facts 470 feet above Dallas. From 470 feet up you’ll experience breathtaking 360-degree panoramic views, high-definition zoom cameras, interactive touch screens, telescopes, photo ops and an indoor/outdoor observation deck that lets you see for miles in any direction. The journey begins in the PIX photo experience at the bottom of the tower. 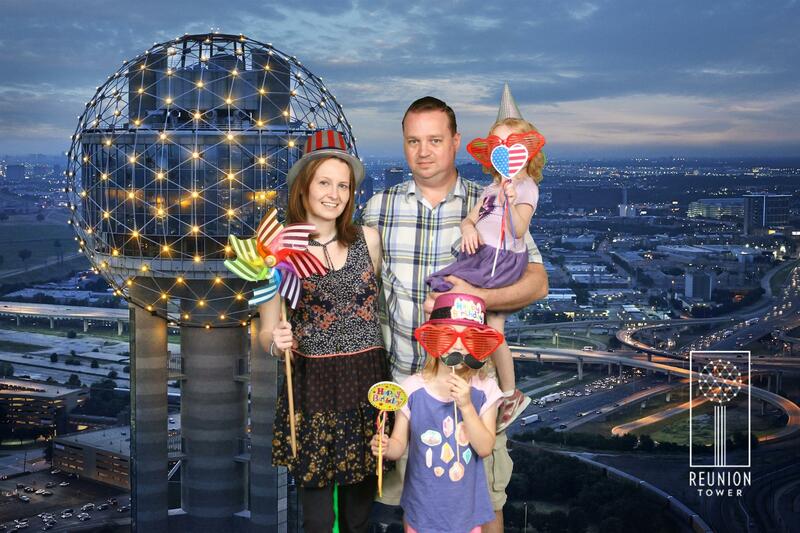 Guests are able to take their photo in front of a green screen and change their backgrounds to one of six images of the Dallas skyline. Next, guests board the elevators that are ready to usher them 470 feet in the air in 68 seconds to the GeO-Deck. This indoor/outdoor observation deck lets guests explore the city unlike anywhere else. 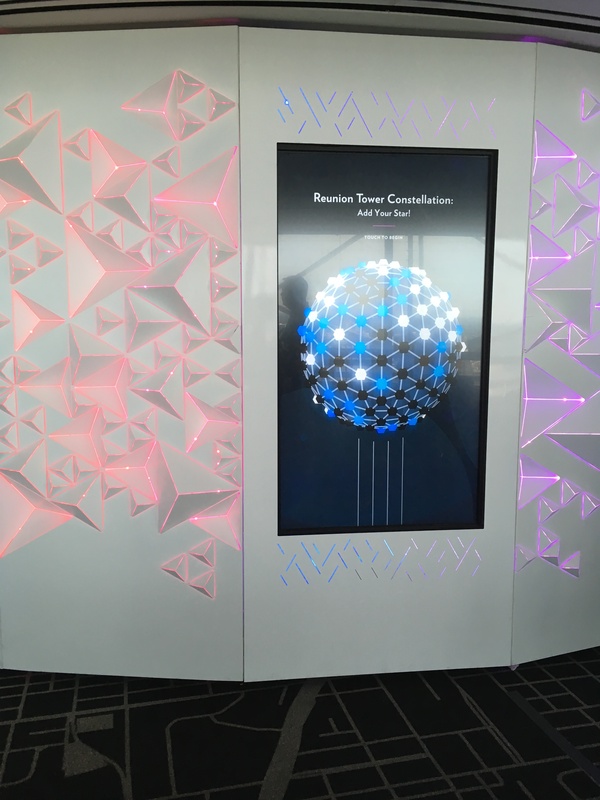 Step up to the interactive touch screen Halo and with just one swipe discover local hidden gems, historic landmarks, museums, parks and much more. Discount! 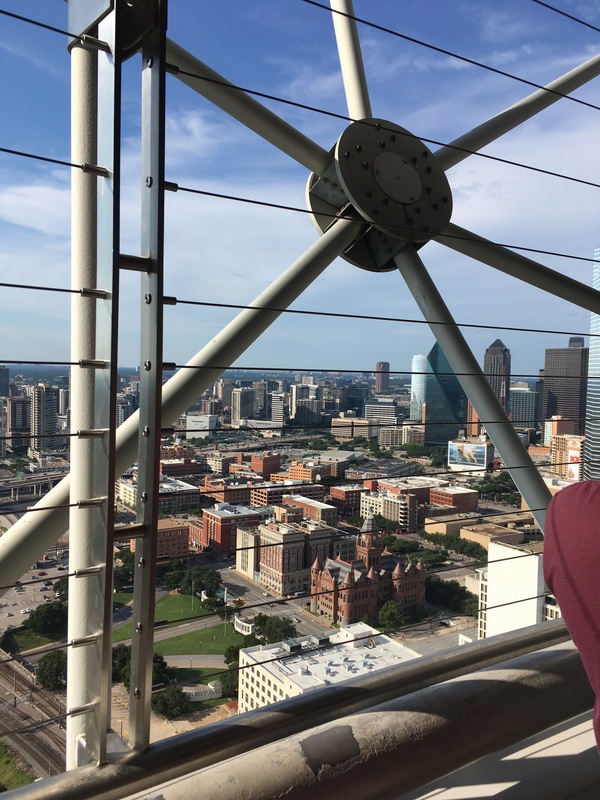 $3 off General Admission to Reunion Tower’s GeO-Deck – Receive $3 off an adult general admission ticket to Reunion Tower’s GeO-Deck when you present this coupon or mention code “USFam”! List Price: $8 – 17 / person (GENERAL ADMISSION) General admission valid for one use until 30 days after purchase date. Children 3 and under are free. Check website for other offers!